The Spartan GoCam, connected by Verizon, makes use of the nation's largest wireless network to provide the widest signal coverage possible. In addition to the expansive coverage areas provided by the Verizon network, Spartan GoCams also feature data rates as low as $5/month to add to the existing Verizon data plan. Spartan knows that product durability is important to the true outdoorsman. Spartan GoCams were designed from the outset to provide industry-leading durability. Features like an easy-to-use, but highly effective latch design, along with robust water-intrusion prevention make for a camera that has an impressive ability to stand up to the outdoor elements. All Spartan GoCams are backed by a two-year manufacturer warranty. 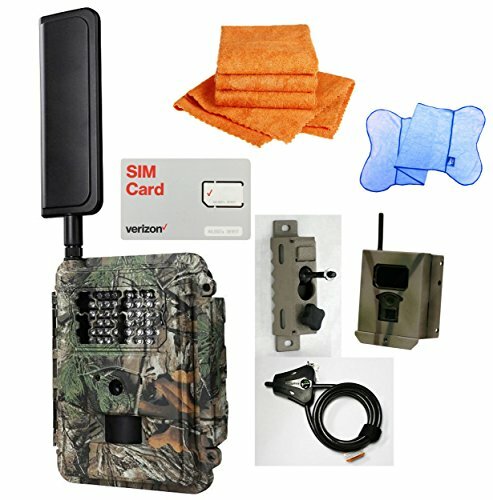 Lowest monthly cost on the market: The Spartan GoCamTM 4G/LTE (Connected by Verizon) can be added to the existing Verizon data plan for $5.00/month as Connected Device1. No long-term commitment required. Activate, deactivate, or reactivate the plan at any time. The plan starts from $25.00/month without existing Verizon data plan.